Scroll down further to enter your question for the Facebook Live. We will email you all the details. What are your thoughts on or hopes and aspirations for Brexit? Leaving the EU has raised many questions and I am sure you have some too. With so much going on behind closed doors and so much speculation in the media, it can be hard to know what is fact and what is fiction. 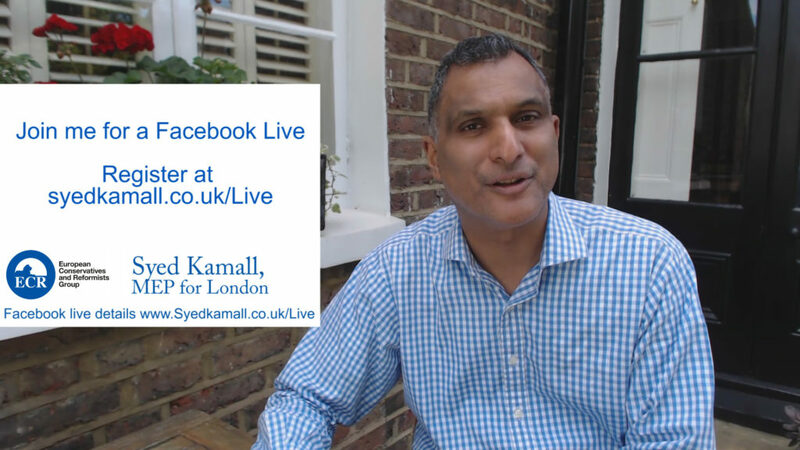 This is why I will be hosting a Facebook Live (https://www.facebook.com/SyedKamallMEP/) at 7pm 30th August 2017. I have been in Brussels for more than a decade and I know many of the people involved in the process. So, I hope this will be an opportunity for me to help answer your questions. If you are unfamiliar with the idea of a “Facebook LIVE” then it simply means I’ll be making a live TV like broadcast on my Facebook page but one in which you will be able to interact with me in real time wherever you are. I’ll have more details soon if you leave your email address below. I am already receiving lots of questions, so if you would like to get your point mentioned in the broadcast then fill out the form below. I can’t promise to answer every question as we will only have a limited amount of time, but I will try my best.